On average, we spend a third of our lives, or approximately 26 years asleep. That’s a lot of time! That’s a lot of time in which dental disorders such as bruxism and TMJ can be exacerbated. But it’s also a lot of time during which our mouths and jaws can be helped to heal and realign. Today we look at two common oral health issues that can be minimised or eradicated by the prescription and consistent application of a personalised night oral device. More commonly referred to as ‘teeth grinding’, The Bruxism Association states that the condition affects around 8 – 10% of the population. Bruxism is broken down into two types – awake and asleep bruxism. From a dental perspective, asleep bruxism is typically the most destructive as it includes the characteristic habitual grinding, whereas awake bruxism involves clenching of the jaw but rarely any actual grinding. While sleep bruxism has a genetic component, and tends to run in families, it is primarily caused by anything that decreases your quality of sleep. This may include regular ingestion of caffeine, alcohol, tobacco, medications for sleep, depression, and anxiety, or certain illicit drugs. 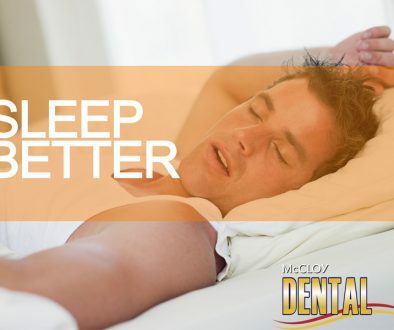 Bruxism is also commonly diagnosed in association with Sleep Apnea and other sleep disorders. From a dental perspective, bruxism can literally grind your teeth away. Protective enamel is lost and teeth are weakened and liable to fracture. The condition can also cause headaches, jaw and neck pain, and the exacerbation of TMJ symptoms, especially if awake and asleep bruxism/clenching occurs together. Fortunately, the use of a splint (special kind of mouthguard) is a relatively simple treatment path, and night oral device, that can help mitigate teeth damage while uncovering and addressing the primary causes of this behaviour. As bruxism can actually be a symptom of more worrying conditions, it is important to see a dental professional if you believe you may be grinding your teeth at night. TMJ or TMD are both used to refer to Temporomandibular Joint and Muscle Disorders or Dysfunction. According to The National Institute of Dental and Craniofacial Research, the most common symptom of TMJ is pain in the chewing muscles and/or jaw joint. Other symptoms can include radiating pain in the face, jaw, or neck, jaw muscle stiffness, limited movement or locking of the jaw, painful clicking, popping or grating in the jaw joint when opening or closing the mouth, or a change in the way the upper and lower teeth fit together. ‘…depending on the severity, [ TMJ ] can affect a person’s ability to speak, chew, swallow, make facial expressions, and even breathe.’ In extreme or chronic cases, TMJ / TMD can also result in severe facial pain and migraines and headaches and heavily affect general quality of life. In these cases, the creation and application of a personalised night oral device can have life-changing results. For those who suspect they might have TMJ / TMD, a visit to your dental practitioner is advised. The best way to treat TMJ / TMD is with a graded approach that starts by investigating lifestyle and medical issues such as sleep problems, posture, and medical conditions, and then moves to an appliance and/or referral to other practitioners. Some conditions can mimic TMJ / TMD or make it worse, so it is very important to have an expert evaluation to make sure that nothing is missed. McCloy Dental has a practice focus on alleviating TMJ / TMD and other causes of craniofacial pain. Clinic co-owner, Dr Karen McCloy is a Diplomat of the American Board of Orofacial Pain and a Fellow of the American Academy of Craniofacial Pain. She holds a Masters Degrees in facial pain and sleep and is currently enrolled in the PhD program at The University of Queensland. For further information on our treatment of TMJ, you can read more here. If you have any dental concerns or any suspicions at all that you may have bruxism, TMJ / TMD, or a related issue, and can benefit from a personalised night oral device, we highly recommend you make an appointment and come in and see us as soon as possible so that we can comprehensively assess, advise, and treat.